The XDrone Zepto REC is the perfect first step into the world of camera quadcopters. It is capable of flying indoors or outdoors at up to 16mph. 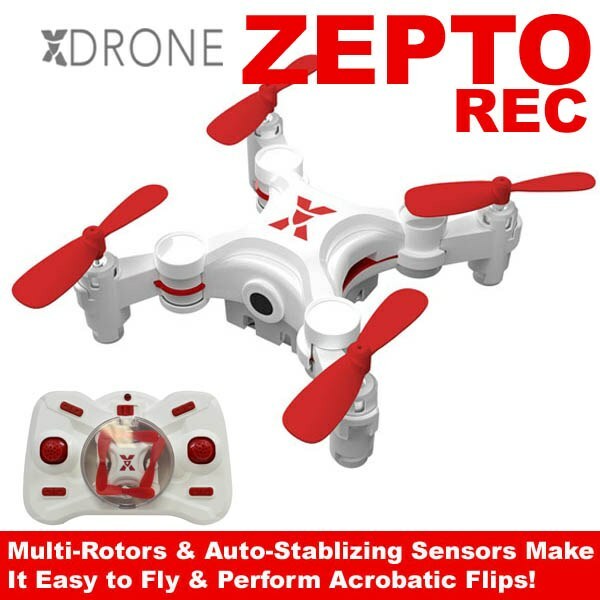 Its multi-rotor technology and auto-stabilizing sensors allow the XDrone Zepto Rec to safely and smoothly fly up/down, turn left/right, fly forward/backward and lean left/right. Even can perform acrobatic flips!